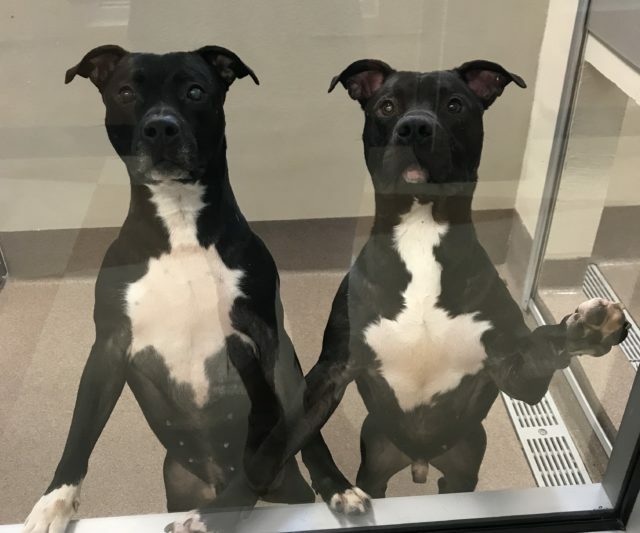 Lover Boy and Colonel Snazzypants have been at LifeLine Animal Project‘s Dekalb County Shelter for 442 and 381 days respectively. Last year, during a stressful move to a new facility, staff members noticed the two dogs’ physical similarities and decided to see if they would make good roommates. The boys became fast friends and have been inseparable ever since! Sadly, these sweet, gentle dogs have been waiting for their perfect adopters for more than a year. 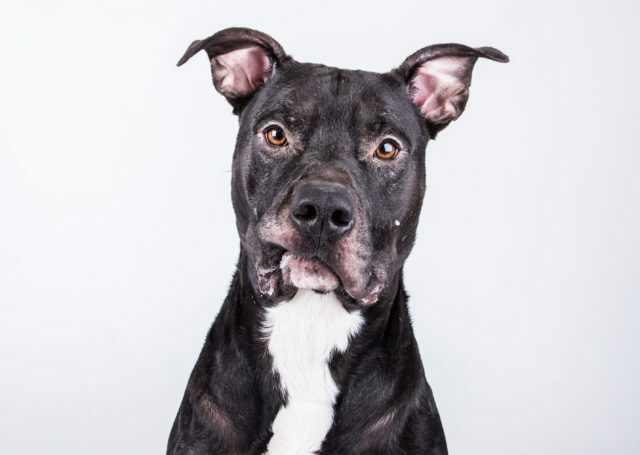 The fact that they are Pit Bull-type dogs has not helped their chances of finding forever homes. 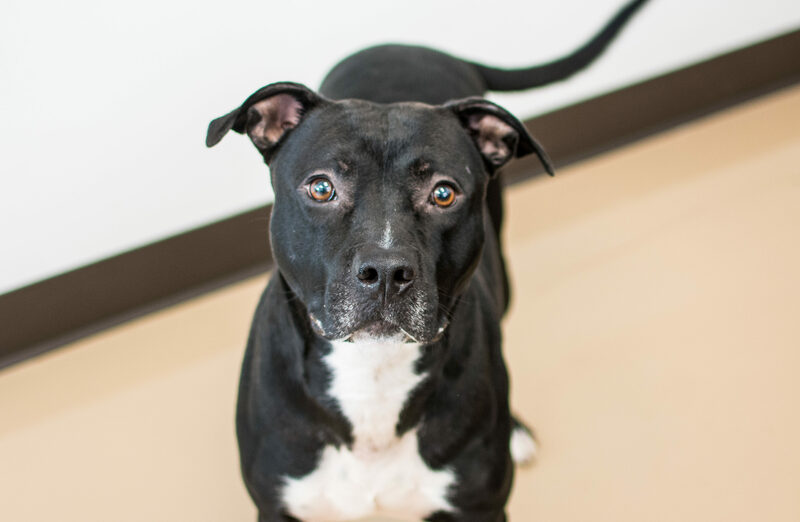 Lover Boy is the Dekalb County Shelter’s longest resident and a former stray. Before he met Colonel Snazzypants, Lover Boy was very shy. Rooming with the Colonel has brought out his silly, affectionate side. He is now part of a weekly playgroup with eight other dogs, and gets along great with his classmates. Lover Boy also knows how to sit, shake, and walk like a gentleman on his harness. Colonel Snazzypants was also a stray, and is the shelter’s second longest resident. Hirsch describes him as “friendly, cuddly, people-oriented, independent and playful,” despite his past. Like his BFF, Colonel Snazzypants also participates in a weekly play group and gets along great with other pups! Lover Boy and the Colonel are neutered, microchipped, vaccinated, and ready to walk out the door with their new families! There are no adoption fees, but interested parties must still go through the application process. 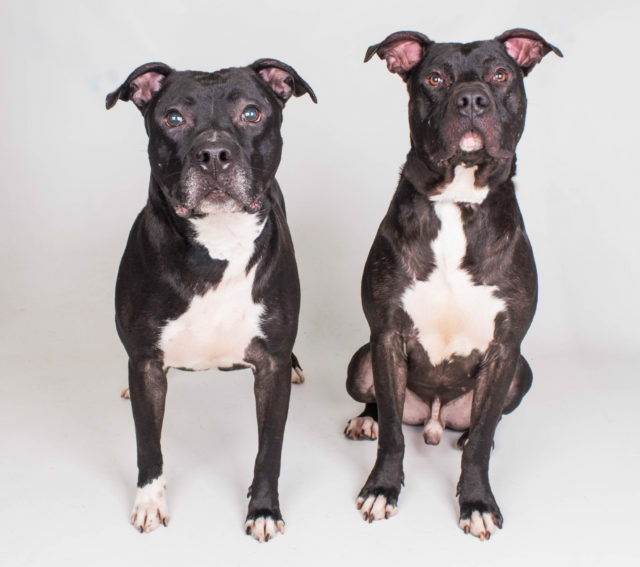 To learn more about one – or both – of these beautiful boys, email the DeKalb County Animal Services shelter at adoptions@dekalbanimalservices.com or call (404) 294-2165. These special dogs have languished in a kennel long enough. Let’s help them find their forever homes!